Well, since I have been so overwhelmed by skating sewing, I completely missed my one year Blogiversary. I didn’t want to miss my three year Sewiversary though, so I am making sure to not to miss it. Last year I posted about my second year sewiversary and made a few goals for year 3. 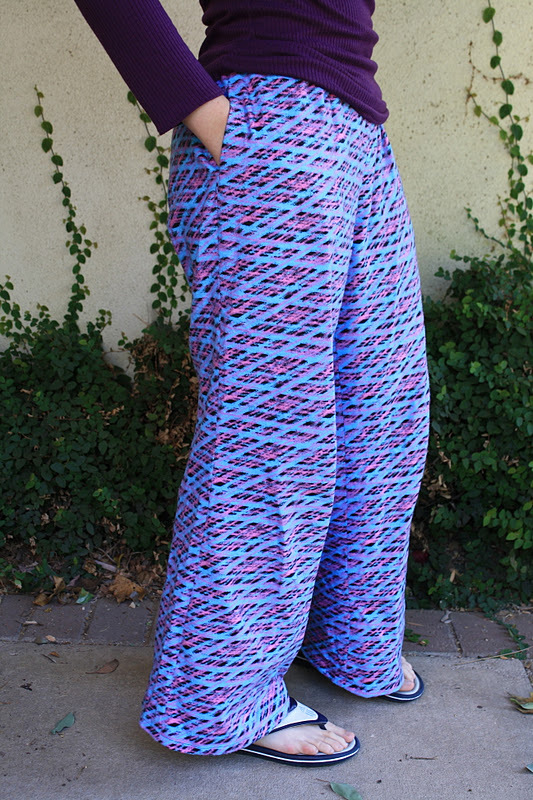 (1) Make more pants – Yup. I made my grey sewing challenge pants and some PJs, whose pattern I plan to use again later this year. I haven’t made the jeans yet, but they are part of my 2012 sewing challenge, so hopefully I will get to them soon-ish. 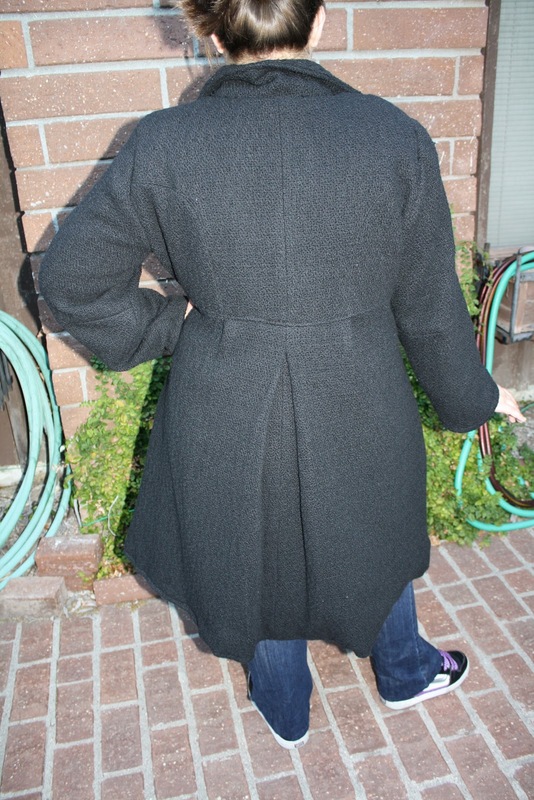 (2) Tailored wool coat for my sister – Yes. She has been wearing it all over Europe, and tells me it has done well in the cold winters of England and Norway. You can see pictures of it here and action shots here and here. (3) Order more fabric online – heck yeah! Fabric Mart, fabric.com, and Fashion Fabrics Club have taken a huge chunck of the sewing money lately. But I did get some great silks, wools, and other high quality fabrics. (4) More everyday shirts – sort of. I have made a lot of knit tops (that I wear rather frequently), but I am still wearing more not-me-made items than me-made ones. I mean, I did sew more tops, so I am going to say goal met, but this is something I can work on more in the next year as well. (5) Something with boning – FAIL. I didn’t make anything with boning. However, a recent trip to the Renaissance Faire left me wanting to make a costume for next year… So this is going on the future goals. (6) More jackets and coats – WIN! I made 3 coats last year that I wear quite frequently – the green wool pea coat, the snakeprint trench coat, and my blue raincoat. I didn’t make any lighter jackets though, so those will be in next year’s goals. I wore this all winter. (7) Costume – FAIL. I have been having too much fun sewing more “practical” clothes, that I never got around to this. Maybe next year. (8) Raincoat – WIN! 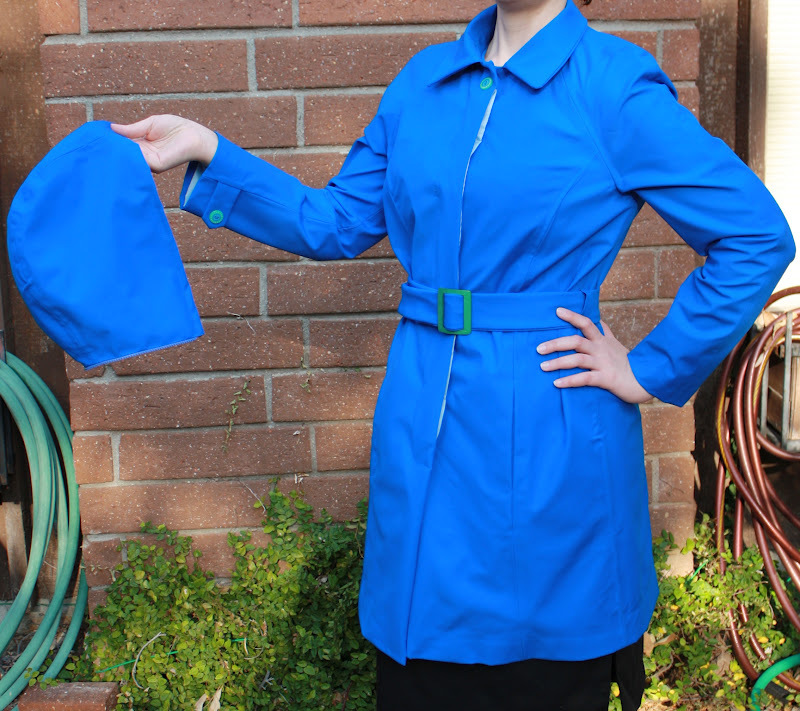 The blue raincoat was one of the first pieces in my sewing challenge this year, and I am super pleased with the results. My rain-trench with removable hood. (9) Make PJs – yes. I made one pair of PJs, but I still need to make more. At least I have a pattern I like, and having PJs with pockets is amazing. These pants, I need more of them. (10) Read, learn, sew more – yes. I definitely did a lot of reading, learning, and sewing, although much of the learning was on the internet and not in books. And a bonus accomplishment: Sewing skating costumes for other people. I didn’t expect to be sewing so much for other people so soon, but I must admit it has increased my skills and helped me to notice things about body shapes and variations. Not to mention I have learned a bit about sewing for guys as well. Meeting 8 out of my 10 goals seems like a pretty good amount, so I am going to say last year’s sewing was very much a success. So, what is up for the next year? (1) Complete my 2012 sewing challenge. Although it has been a bit derailed by the large amounts of skating sewing I wasn’t expecting, since I already have 5 items completed (and another partly through the muslin stage) I think I can meet the overall goal of sewing 12 items on this list by the end of the year. (2) Make jeans! This is part of the sewing challenge, but it is something I have been wanting to do for a while and I want to emphasize to myself that I need to do this! (3) Make a costume with a boned corset (for next year’s Ren Faire). I will combine both of last year’s fails into one goal for this year, especially since I now have a more specific project in mind. (4) Try all of the sewing magazines my sister has brought home from Europe. I now have a nice collection of Patrones, Knipmode, and My Image in addition to my ever-growing Burda stash, and I want to try and make something from each pattern magazine/company to see how the sizing varies, as well as to try out the various patterns that I loved. This sort of goes along with the challenge goals, but I did get a lot more magazines after I had planned out my challenge wardrobe, and I want to try and use them as well. (5) Make a lightweight “default” jacket I can use on a daily basis. So far I have made a lot of coats that are great for winter and the rainy spring seasons, but nothing I can wear during the spring/summer/early fall. I want to make a more casual jacket I can wear on a daily basis. I tried to make a fleece one last year, but I wasn’t too thrilled with the results. Right now I am thinking this might be Burda Style 06-2012-121, but we will see if that is what I actually end up making. (6) Use more stash fabric for projects. Ummm…. well, this past year I bought a LOT of fabric. Like, a lot a lot. And I seem to buy even more when I am not able to sew. It is something I need to slow down on (due to living space limitations), and I really do need to use the fabric that I have (and love) to make clothing that I will love to wear. (7) Buy some Spoonflower fabric. I know, I know, I just said I wanted to use stash fabric and NOT buy more. But I have also been dreaming of making some super fun nerdy clothes from some of the fab prints on Spoonflower. The fabric is expensive, which is why I haven’t ordered any, but I do want to buy some for a few special projects. I am thinking maybe I can trade out buying fabric in quantity (like going crazy at the Fabric Mart $1.99 sales) for quality and maybe meet two goals at the same time. (8) Make (and wear) more dresses and skirts. Ok, let’s face it – I don’t wear dresses or skirts often. Although I did make a few last year, they were mainly for special occasions, or they saw little use because I made them at the wrong time of the year. I have a lot of fabrics and patterns that I want to make into dresses, but since I rarely wear them I haven’t used them. I want to try and vary my wardrobe a bit more and get away from the jeans-tee shirt- tennis shoe rut that I find myself in more often than not. (9) Make my sister a graduation dress. She will be finishing her undergraduate work in the coming year, and has asked me to make her a dress for graduation! I already have the fabric and pattern, but won’t make it until closer to the actual date. In the meantime I do plan on making her a summer dress, a party shirt, another coat, and some pants. Oh, and maybe teaching her to sew too! She has shown some interest in learning, and making some shirts and basic items for herself. (10) Read, learn, sew more! Always! Wow – you really did very good on all your goals! Sometimes goals change as priorities do. Happy sewing in year four! You did very well – three coats! The amount of work you put into the coat for your sister is amazing. I tend to see sewing goals as more a moving target than a fixed one – just something to aim for. 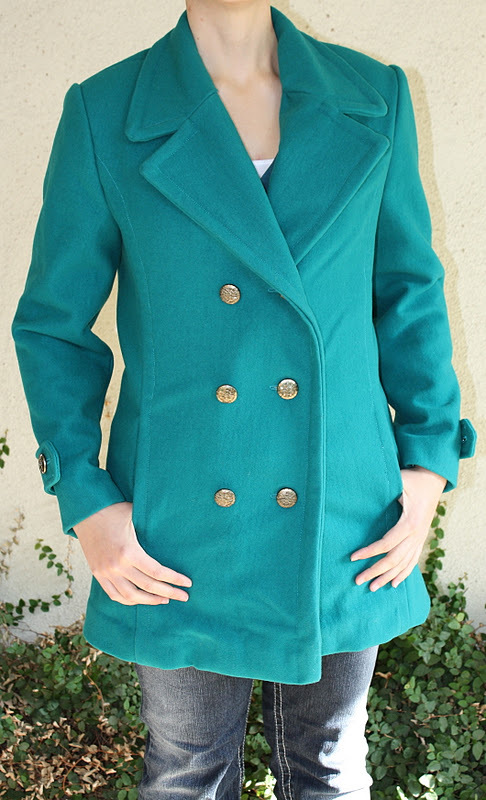 I like that teal green coat. Thanks for the update on Burda Ru- should be useful now that the French one isn't updating previews anymore. Also thanks for the link love, much appreciated. And thanks for the promise/goal of sewing more things for me! And yes, I do still have an interest in learning to sew some basic items…but we'll see how the learning process goes.